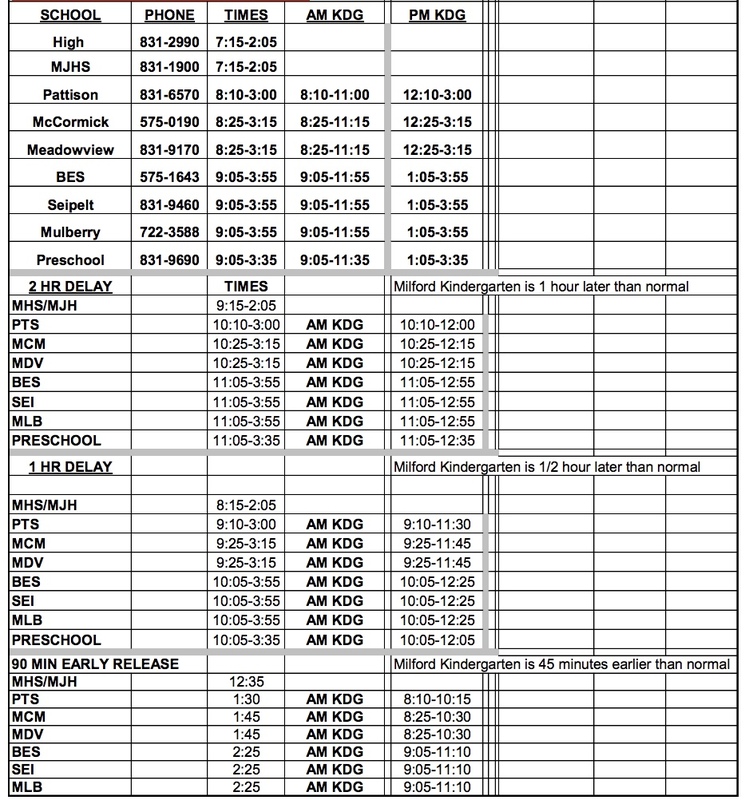 The first day of school for the 2017-2018 school year is Wednesday, August 16, 2017. Here's the list of back-to-school supplies for our elementary schools and junior high school. To raise funds needed for Milford High School's Autism Assistance Service Dog, a pet and family-friendly fundraiser will be held in August. 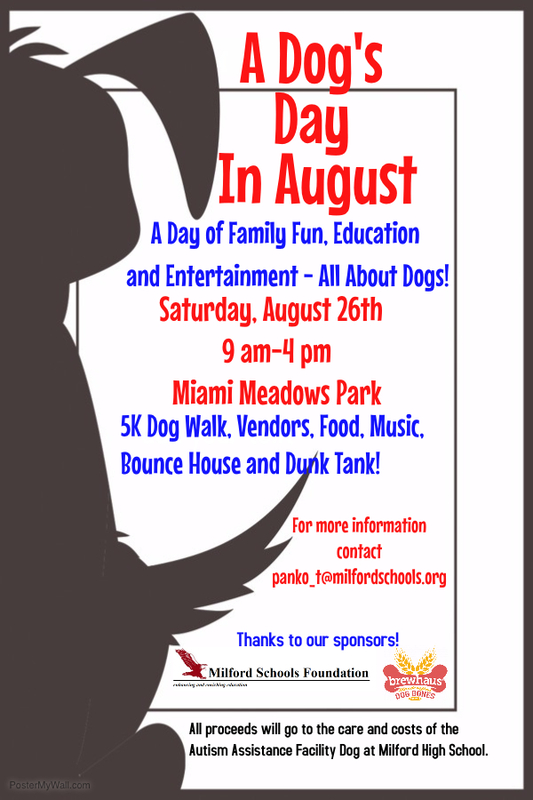 “A Dog’s Day in August” will be held at Miami Meadows Park on Saturday, August 26, from 9 a.m. to 4 p.m. A 5K owner/dog walk will take place at 10 a.m. in the park. Fall athletes - Be sure to register on Final Forms as soon as possible!